The vessel docked in Port Neches and the man was taken to the hospital, where necessary precautions were taken. 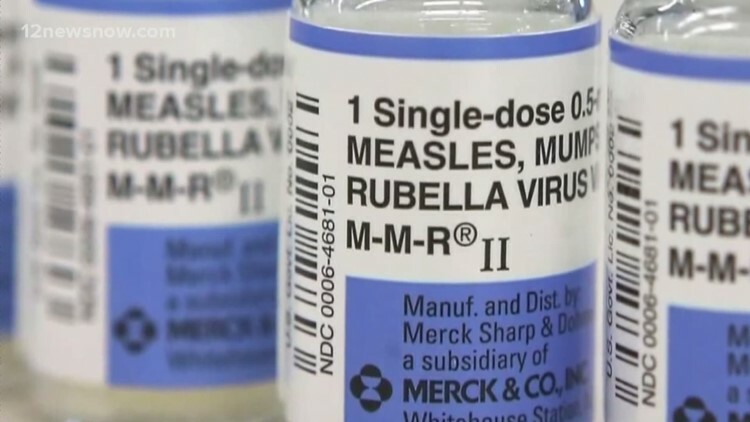 PORT ARTHUR, Texas — A man on a vessel docked in Port Neches in February tested positive for measles before being cleared to travel back to his own country. The vessel docked in Port Neches and the man was taken to the hospital, where necessary precautions were taken according to a City of Port Arthur news release. The City of Port Arthur Health Department received information about the man's symptoms, and no other crew member was given permission to leave the ship according to the release. The patient posed no significant threat to the community because he was immediately hospitalized according to the release. Lab tests confirmed the measles case, and the patient was cleared to travel on February 25 per CDC guidelines according to the release.